Employees who joined the plan prior to 2000 participate in the defined benefit part of the Plan while other employees participate in the defined contribution part. All employees contribute at a rate of 6% of pensionable earnings. In the defined contribution part of the Plan, employers contribute a matching 6% of pensionable earnings. Thus a total of 12% pensionable earnings go towards the employee’s account balance. Periodical actuarial valuations determine what additional contributions are required by the employers to finance the defined benefit obligations promised by the Plan. The Law provides for payment of retirement benefits to eligible participants at the normal retirement age of 60 but the participants may retire earlier under certain circumstances. Participants with more than 10 years of qualifying service under the defined benefit part may retire at age 55 with unreduced benefits. The retirement benefits for participants under the defined contribution part is based on their account balance, age at retirement and the payment option chosen. The Plan also provides for disability, special and early (after the age of 50 with a minimum of ten years of qualifying service) retirement. In addition to administering the Plan, the Board administers the payment of Ex-Gratia Pensions on behalf of the Cayman Islands Government under the Public Service Pensions (ex-Gratia Regulation) Section 66 of the Public Service Pensions Law (2013 Revision) which covers these transitional provisions. The ex-gratia recipients are former Caymanian civil servants over the age of 60, who were not in receipt of any pension, allowance, gratuity or other retirement or termination benefit. Those with an aggregate of four or more years but less than 10 years of service receive an ex-gratia pension of $200 per month. Those with 10 or more years of service receive an ex-gratia pension of $300 per month. It should be noted that these payments are not subject to annual augmentation based on the level of inflation. Unlike the main Plan, ex-gratia pension benefits cease upon death of the recipient. 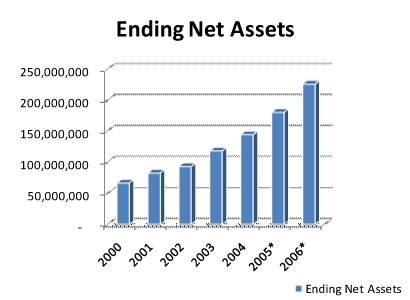 The investment objective of the Board is “To Preserve Capital while Adding Value for Public Sector Retirees.” The Board is committed to this investment objective, and has investment portfolios which are diversified, within the constraints of the Law as well as the Board’s Statement of Investment Policy and Procedures, to ensure that the Fund’s exposure to risk is not unduly concentrated in any one type of investment or area of currency. The Board monitors and measures manager’s investment portfolios returns against internationally recognized benchmarks, and established an Asset Allocation Policy, in collaboration with its investment advisors, for the purpose of achieving long-term returns of 3-4% above inflation. The Asset Allocation Policy establishes the percentage holdings by asset class and permissible ranges within the broad classes of investments. Within this framework, each investment manager is not limited by sector or country restrictions and is able to make discretionary decisions to capitalize on market opportunities. The Fund is biased to equities over the long term in order to achieve optimum returns. Equities, when compared to other classes of investments over the long term, have historically proven to generally out perform other forms of investments. 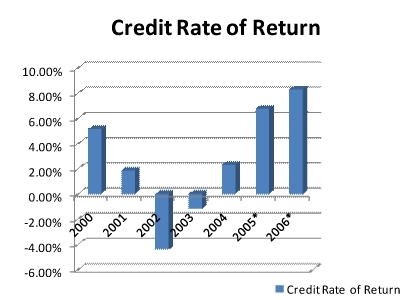 The Credited Rate of Return (CRR) on contributions is based on a three-year geometric average of actual returns and is used to smooth the effects of market volatility. 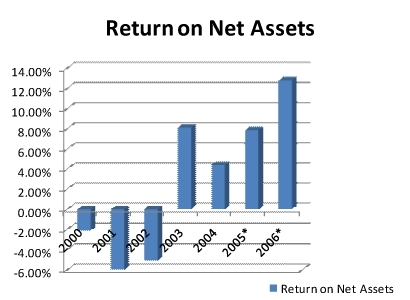 NOTE: *Ending Net Assets, Return on Net Assets and Credited Rate of Return are unaudited for 2005 and 2006. The pensions plans’ net invested assets available for benefits increased by approximately US$66 million from US$207 million from June 30, 2006 to US$273 million at June 30, 2007.